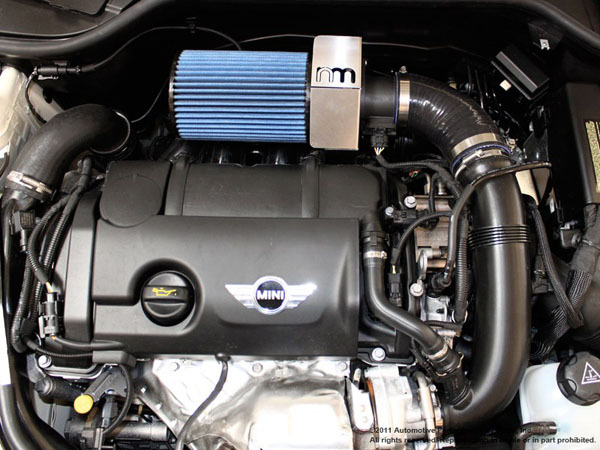 NM Intake system for the new 2011 R56 MINI Cooper S, R55 Clubman S, R57 Cabrio S, R58 Coupe S, R59 Roadster S and R60 Countryman S with N18 engine for the US model. 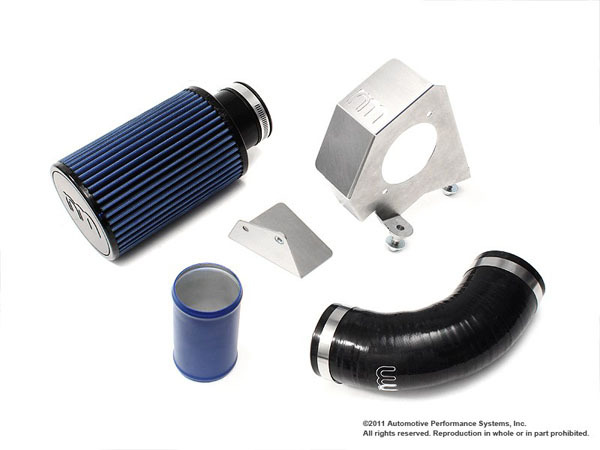 MINI did a great job on 2011 model MCS in improving the turbo intake tube by replacing the soft rubber tubing with a full size and rigid ABS plastic one, similar to NM's aluminum/silicone version that we offer for the 2007~2010 MCS & JCW vehicles. This kit fits US & Canada MCS with N18 engine (2011~) as well as older model with N14 engine (2007~2010).